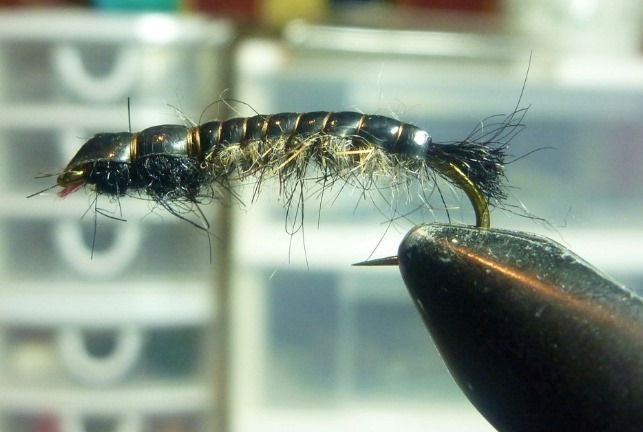 When does chasing big brown trout become an obsession? I try to get down to the Taupo region on the central North island of New Zealand in March. As autumn starts to bite, brown trout move into the rivers and streams from Lake Taupo to head upstream to spawn. It is usually a reasonably sedate meander, not like the mad dash of pods of rainbows that tend to move up somewhat later. Usually rivers and streams in March are low and clear, but this does not seem to deter brown trout. Mostly they move at night, spending the day hugging the bottom of deeper water, or tucked in under overhanging, undercut banks. Some hold deep in the branches of fallen trees – untouchable. This year things were different. A vicious drought affecting the North Island and beyond turned the land from the famed New Zealand green to a drab lifeless brown. Driving down from Auckland I had never seen the countryside so devoid of grass. The sun literally sucking the life out of the land and waterways. When I reached the Tauranga-Taupo River (TT), I could see the effect of the drought. The river was now a creek, very low and clear. Despite this Steve Yerex, guide and operator of the Keruru Lodge, where I regularly stay, was reasonably upbeat. Browns were in the river in some numbers he reported over the phone, but he suggested that it might take some high level of skill and more than a big helping of luck to pry one or two out of the TT. Steve was going to be away for a couple of days raft fishing down the Mohaka River, leaving me on my own at the lodge – I liked that. Arriving late afternoon, I decided to wander a little way downstream with my Tenkara rod and see if I could annoy a few small rainbows which by now were moving downstream to the lake. Over the next hour and a bit, more than a score of fish around 6 to 10 inches were plucked from the shallow runs. Great fun. Next morning and now in serious fish-hunting mode I headed slowly upstream, peering intently into every pool and undercut bank. The browns were there. Some brutes among them too. Serious brutes. Brutes that have tempted and tormented me for too many years to recall. Quite simply this is the best book I have read on fly-fishing, and I have well over 100 books on fly-fishing in my bookcases. This simplified approach to catching trout, without the baggage of myth, pseudo-science, and self-serving BS is something I have tried to preach in my own books and articles – just wish I could write it half as well. 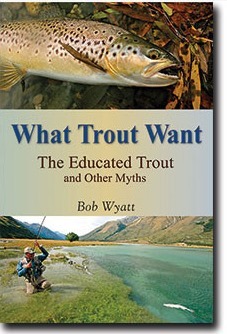 I don’t care where in the world you fly-fish for trout, read it and become a better fly-fisher.